I've been a big reader of Victoria Moran's work and the way she seems to paint the sky with rainbows and sunshine even when it seems cloudy. She is among my "Circle of Women" who inspire, instruct and generally assist me in living a charmed life. When she released Main Street Vegan I snapped it up and had a read. Full disclosure: It would be dishonest of me to say I am a vegan, because from time to time (re: Thanksgiving) I do eat dairy products and food containing eggs (though for a long time my very pampered chickens provided these by way of their daily laying.) But I lean toward veganism in a big way which is what works for my body and beliefs. Whatever way you lean, there is something in Main Street Vegan for everyone, whether you want a better and deeper understanding of the vegan lifestyle, learn why veganism is uber-eco-friendly (yeah, I know I just used uber,) understand why someone in your life is vegan, learn some new recipes and more. Occasionally I like to offer myself a refresher on facts, stats and get the latest info on the animal-free lifestyle. Also, recipes. The back of Main Street Vegan provides outstanding recipes for vegan fare from smoothies to entrees to desserts. Neat Loaf served with string beans and coleslaw. Meet the Neat Loaf. I have to say, even though I have not eaten meatloaf in twenty years, the Neat-Loaf was outstanding! It may be just the item to add to your holiday table if you have vegans or vegetarians joining you or if you just enjoy a mischievous attempt at tricking your guests into tasting yummy veg food. 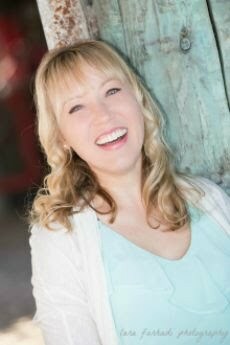 For more on Victoria Moran and her amazing work in the world of self-improvement and an all around super-lady please check out this interview I did with her. Also visit her website. *These thoughts and opinions are my own and I was not compensated in any way for this post.